THIS IS A DOWNLOADABLE E-BOOK : Open this E-book with the Kindle App or any E-book reader. The primary goal of this guide is to encourage bridge owners to implement a well-planned effort to control corrosion rather than perform necessary repairs after a structure has suffered critical damage and cannot be ignored any longer. 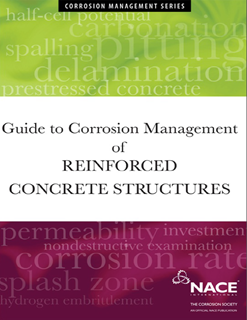 The guide was developed to assist bridge owners in understanding the basic requirements for managing corrosion of reinforced concrete elements by providing an outline and identifying the essential components for a corrosion management program.